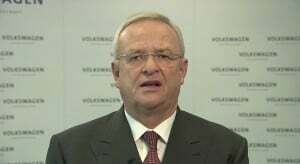 Prosecutors also said that Winterkorn and four other managers faced charges, but did not give the names of the other four or say whether they were still employed by Volkswagen. Winterkorn’s lawyer, Felix Doerr, declined to comment, saying he had not seen all of the paperwork, according to Reuters. A spokesman for Winterkorn, who resigned shortly after the scandal came to light and said at the time he was stunned by the scale of misconduct, did not respond to a request for comment, Reuters reported. The scandal, in which VW engineers devised a cheat to beat emissions tests for its diesel engines, has ultimately cost the German automaker more than $32 billion in fines, penalties and other fees. It also triggered a massive backlash against diesel, which had been gaining public acceptance prior to the scandal. So pronounced was the impact of the scandal other automakers were carefully scrutinized for their emissions testing results (with some getting caught in similar situations), the market for diesel autos globally tanked and VW, which was the leading proponent for oil burners, dropped its diesel efforts and went all in on electric vehicles. As for Winterkorn, the events took place between November 2006 and September 2015, which would fall under his tenure as the company’s leader, thus prosecutors said Winterkorn failed in his duty to inform European and U.S. authorities after it became clear in May 2014 that diesel engines had been manipulated. The investigation has cast a wide net, scooping up many VW and Audi executives, Volkswagen’s current chief executive Herbert Diess has escaped unscathed. This is in large measure due to the fact he joined the carmaker in July 2015 — the beginning of the scandal. Diess only became VW CEO a year ago, noted he was not among those charged. “I am not among the accused. I do not expect to be charged,” Diess said, speaking at the Shanghai auto show. Meanwhile, Winterkorn was charged with similar crimes in the U.S. about a year ago. He is in Germany and is unlikely to remain there as Germany rarely extradites its citizens for prosecution in the U.S. The U.S. Securities and Exchange Commission sued Winterkorn last month, saying U.S. investors were informed too late about the Volkswagen diesel emissions scandal, alleging “massive fraud,” Reuters reported. This entry was posted on Monday, April 15th, 2019 at and is filed under Automakers, Automobiles, Business, Diesel, Europe, Executives, Investors, Lawsuits/Legal, Markets, Personalities, Politicians, Regulatory, Sedans, U.S./North America, Volkswagen. You can follow any responses to this entry through the RSS 2.0 feed. You can leave a response, or trackback from your own site.